Does the thought of choosing that perfect Christmas gift for your mum, your granddad, your sister send you into a panic? We have the answer for you – and you’ll be doing good for the planet at the same time. Donate to one of our conservation projects listed below. We will send you a back a gorgeous photo of the project and an explanation of how it is making a difference. Print this off, tuck it inside a Christmas card and, voila, your gift giving is sorted. US$20/AUD$22/ £12 – buy four saplings which we will plant in Kalimantan, Borneo. Afterwards we will watch them for three years, watering, providing mulch and protecting them from fire. 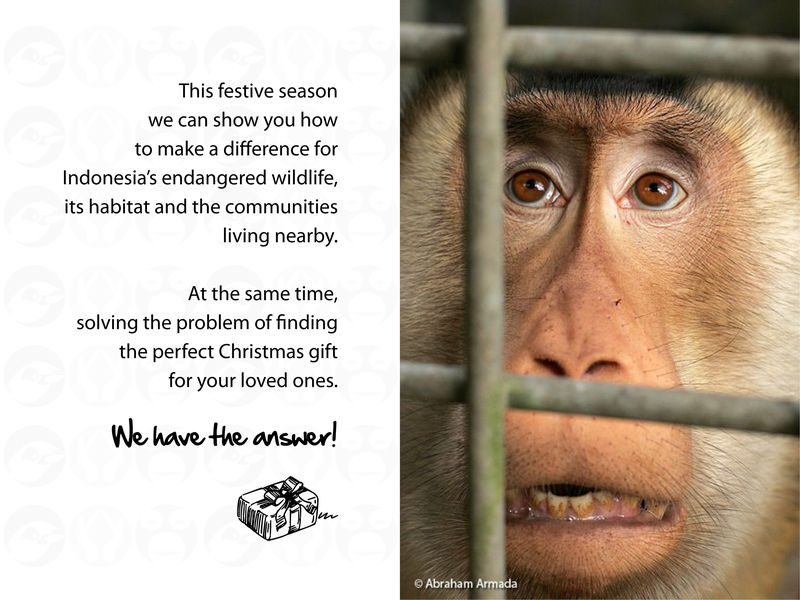 US$50/AUD$55/ £31 – will allow us to feed a monkey for a month at our Bali wildlife rescue center. US$250/AUD$274/ £153 – will pay for a year’s schooling for a young child from Bali’s Nusa Penida island. US$1,000/AUD$1,097/£613 – will allow us to buy two endangered Black winged starlings, and build a breeding cage. Their offspring will be released to help boost the wild population of this rapidly disappearing bird. Donate now via Paypal or credit card – in the special instructions box just let us know this is a Christmas gift donation, and for which project(s). Got a question, drop us an email at info@fnpf.org and we will get straight back to you. Those ideas not right for you? You can make a donation, of any size, through our website. If you are in Australia you make a tax deductible donation via the website of our partner organization, Humane Society International (Australia). Make sure you mention the donation is for Friends of the National Parks Foundation. Or check out our wish-list. Our conservation projects make real and positive change for endangered wildlife, its habitat and the communities that live nearby. Our work has been recognized by global organizations including the United Nations Development Programme and the Whitley Fund for Nature. We receive no government funding and rely solely on the generous support of donors and volunteers to carry out our work. Wishing you all a Merry Christmas and a Happy New Year, the Friends of the National Parks Foundation team.